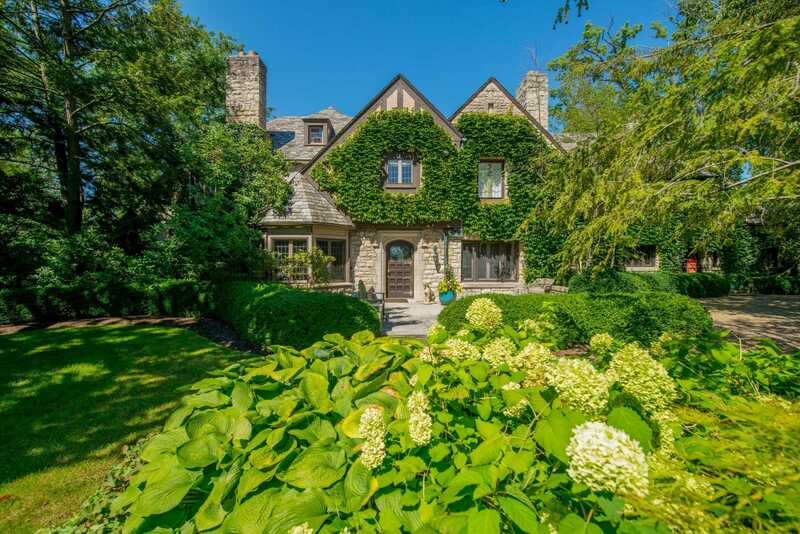 Courtesy of Street Sotheby’s International Realty 614-235-1100, David S Powers 614-361-2729. Incredible North Bexley Estate Home on 2+/- Acres. Six bedrooms, six full and two half bathrooms. Total of 5 car garages with custom guest apartment above. Harmonious indoor and outdoor entertaining. Designer Chef’s Kitchen with breakfast area leading to the extensive terrace. Massive Great Room with unparalleled long views overlooking the west lawn to Alum Creek. First Floor Executive Office. Owner’s Suite with vaulted ceilings, fireplace, and elegant bath. Intimate second floor screened sleeping porch. Beautiful architecture with the best of everything conveniently located to Downtown Columbus. Note: Seller is donating or retaining the remaining acreage. District: BEXLEY CSD 2501 FRA CO. Please, send me more information on this property: MLS# 217043921 – $2,595,000 – 361 N Parkview Avenue, Bexley, OH 43209. I would like to schedule a private showing for this property: MLS# 217043921 – $2,595,000 – 361 N Parkview Avenue, Bexley, OH 43209.